Guess What? Bungkusit Has Finally Come To Your City! Sometimes all we need is a little helping hand to make our lives easier. All we need is that one platform that connects us to the world in just a single click. Our thoughts? What platform better serves this purpose than Bungkusit? Bungkusit has become a part of a new world, one that craves for ease and efficiency. It strives to be the “all-in-one” connection from the bustling city to the comfort of our homes. Some say its a blessing to be able to live in a world where Bungkusit exists, we say, blessings are coming your way because Bungkusit is coming to your city! Each city is beautiful in its own way but these are the 4 chosen cities (aside from KL) where Bungkusit will kick start their operations at. Malaysia is the land of diversity. It’s rich in history, cultures, tradition, people, nature and so much more. Each state, each city plays an important part to bring about the beauty of this diversification. There’s so much to love and to cherish and yet there is so much left hidden from the rest of the world. We are very excited for the launch at these amazing places. Here are some fun facts that we absolutely loved about your city. 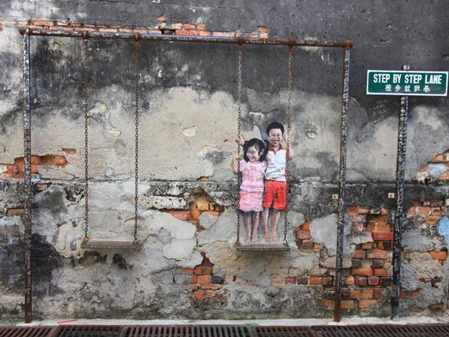 Many people assume that Johor is just another boring place but it really isn’t. Over the years, it has definitely become a major tourist attraction thanks to these things. 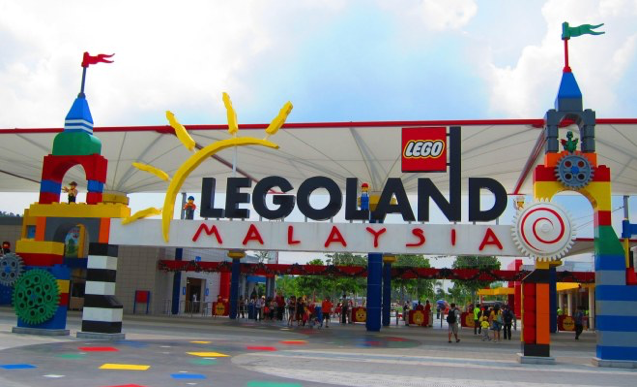 Theme parks are loved by everyone and LEGOLAND isn’t any more different. It has a wet themed park and a dry park. What sets it apart from any other theme park is that the whole entire park is build using lego. How cool is that? It can be enjoyed by everyone from all walks of life. You don’t need to be a 10 to enjoy and some fun. There are awesome discounts for children below the age of 12 and above the age of 60. It’s a must visit for all those who’d want to catch up with a little bit of fun. 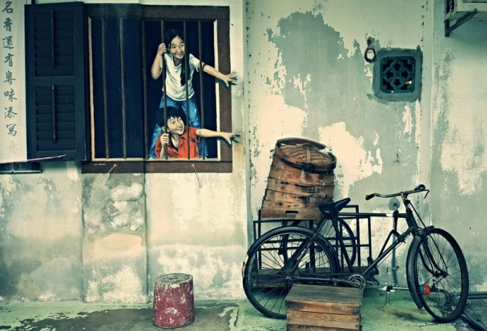 Penang is known to be the heaven for food lovers not only in Malaysia but all around the world. It is so famous that sometimes people decide to go for a vacation in Penang simply because it offers great food. 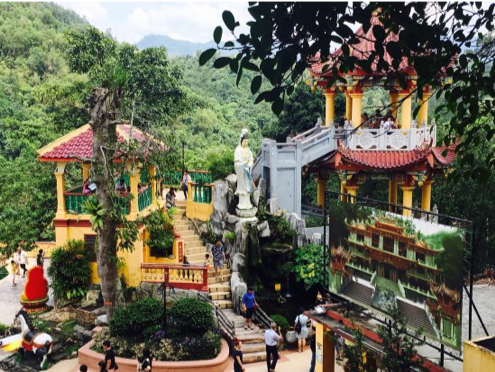 Alongside the awesome food, Penang is also famous for their botanical garden, Penang hill, historic buildings such as the Kek Lok-Si temple and St George’s Anglican Church. 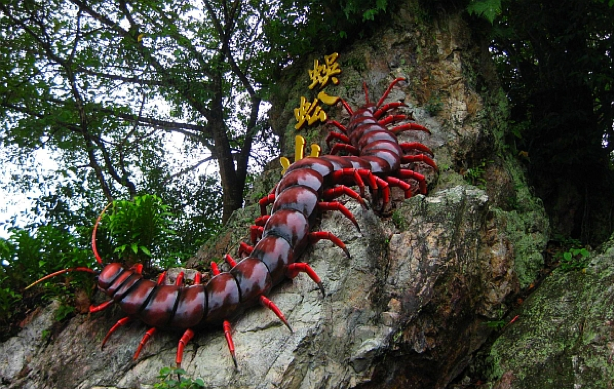 As you would’ve already guessed, locals have named the temple Centipede Temple due to the various centipede species outside the temple compound. 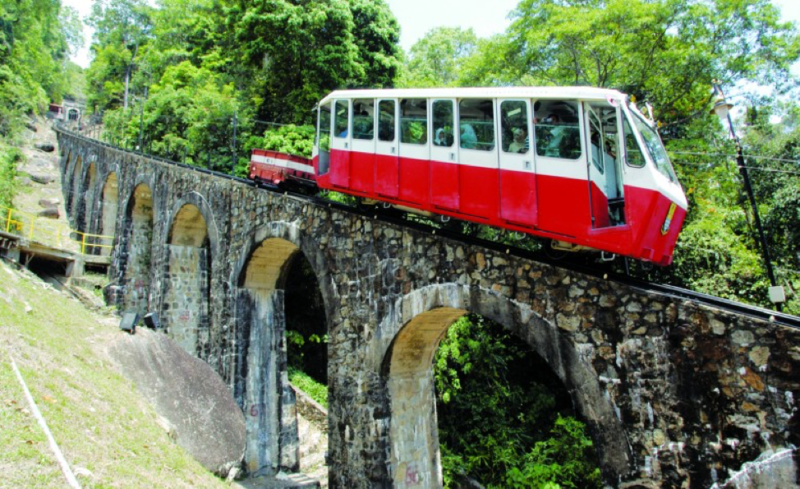 It has over the years become a prominent tourist attraction place in Seremban. It’s a long walk to the temple as it is located high up in the hill. You wouldn’t mind the walk because on you reach the top, it would have an absolutely breathtaking view of the entire town. Ostriches are known to be really fast runners. 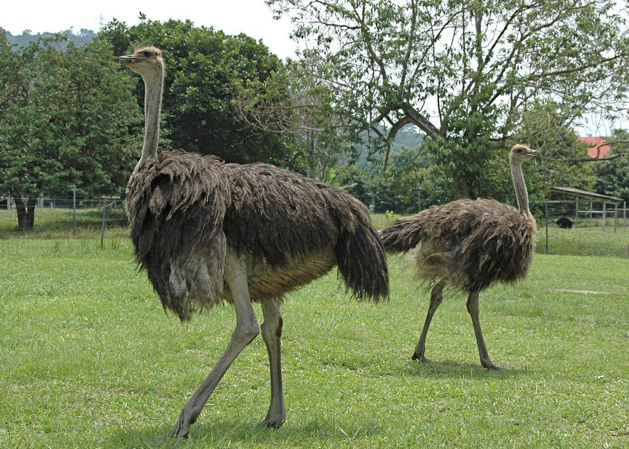 They are creatures that you don’t get to see everyday so going to an Ostriches farm can be a very interesting experiences, especially for kids. The main event in the farm is not only seeing some Ostriches but it is being able to actually ride them. It is a must go to if you’re in Seremban. Malacca has its own very own tower called the Taming Sari tower. 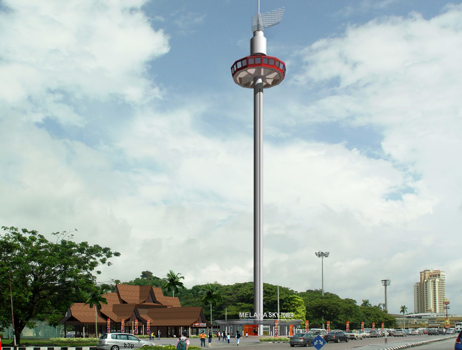 It is the very first gyro tower that there has been in Malaysia. The Taming Sari tower is a revolving structure that’s about 110 meters tall. It gives riders a 360-degree panoramic view of the Malacca town. The tower is able to accomodate about 80 people at one time. Each viewing session lasts approximately 7 seconds.The glass cabin of the tower revolves at 360-degrees as it moves from the bottom to the top giving its viewers the best view it can offer. We are everything that you need. We are the convenience that you look for, we are the fullfillers of your heart’s desires and now we are coming to make dreams come to you. “We” are Bungkusit. What do we do? Basically, we just “bungkus” your desires and deliver them to your or someone else’s doorstep. Be it a late night craving of some delicious “ice kacang”, getting an urgent document couriered immediately to your client or getting a gift sent to your partner as a surprise, you name it and we’ll deliver it. The other thing you can call Bungkusit is, convenience at your fingertips (because it really is). All you have to do is download the app on your phones, be registered as a user and “bungkus it je”. As for the app itself, it is super user friendly and can be downloaded for free. This is the future and its happening right here, in Malaysia. To allow anyone to connect to anything, Bungkusit is expanding its operation. What better news to have this 2019 than knowing Bungkusit will be launching in your cities! Bungkusit Launching in Your Cities! Now everyone, doesn’t matter what age or nationality, can enjoy the benefits Bungkusit has to offer. Anything from all over town is just at the tips of your fingers. Be it from the Kuey Teow stall from down the street or nasi kandar restaurant you can’t get to, you name it and Bungkusit brings it to you. It’s absolutely amazing and you would not have to miss out on it. All that is just one click away. All you need to do is allow Bungkusit to get it for you so you can enjoy every little thing your town has to offer to you.